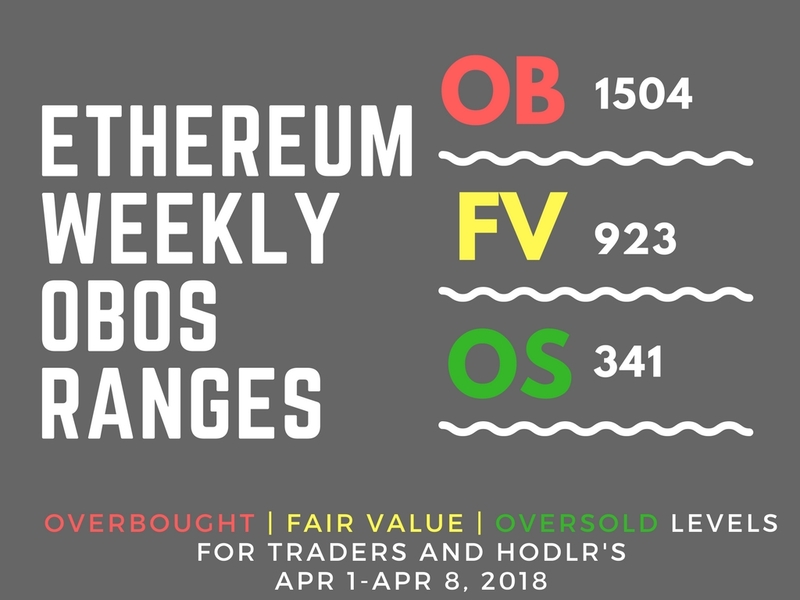 Weekly Overbought / Oversold Ranges for the week of April 1 -8, 2018. Moving Average overlay on mean reverting standard deviation taking volatility into consideration. In other words, stocks, bonds, & commodities trade back and forth like a pendulum on a grandfather clock. How big the “arc” of swing, is the annual volatility. It’s very similar to Bollinger Bands. 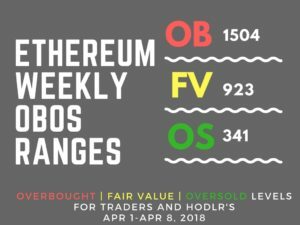 Ethereum is -92.25% oversold compared to Bitcoin at -52% oversold. Perhaps it’s tax selling? Lack of ICO’? Statements by Vitalik? Nobody knows for sure.This is why we feel US stocks and ADR’s seeking to monetize blockchain is a better, long term approach than holding crypto. Not investment advice. Cenacle Capital owns positions in Bitcoin, Ethereum and other digital tokens.